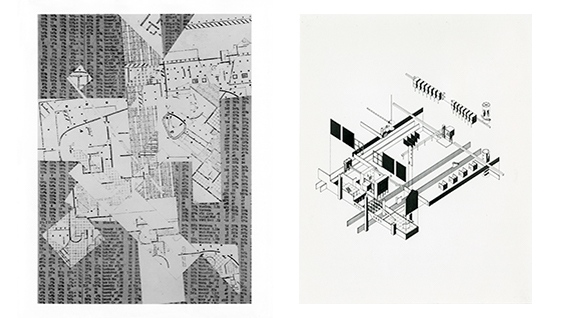 The project to digitize, catalog, and exhibit the Architecture Archive’s Student Work Collection received a major boost this summer with two grants from the Leon Levy Foundation and the Graham Foundation. These two sources of funding complement the nearly $150,000 federal grant awarded to the archive by the Institute of Museum and Library Services (IMLS) Museums for America program last fall. 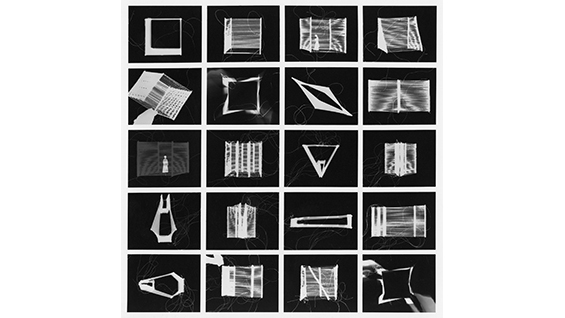 When completed, the Architecture Archive’s Digital Access Project will be one of the most comprehensive online collections of student work at a school of architecture in the United States. The Graham Foundation grant will support a Houghton Gallery exhibition to accompany the beta launch of the digital archive, which will include a preview of undergraduate Thesis work, in October, 2018. Titled “Archive and Artifact: The Virtual and the Physical,” the exhibit will celebrate more than 50 years of architecture education at The Cooper Union, chronicling themes and typologies explored through the lens of Thesis projects. 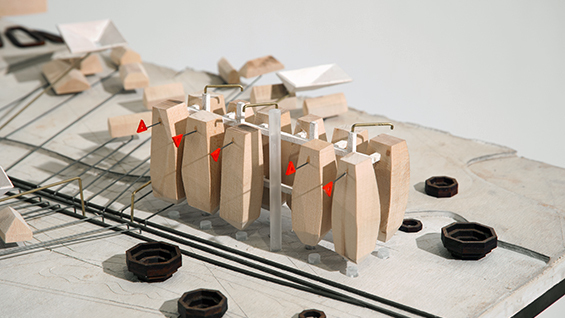 The School of Architecture was one of 41 organizations to receive the Graham Foundation grant. Much progress has been made on the Digital Access Project in recent months. Caitlin Biggers, who joined the Archive in December, 2016 as the Project Manager, established the digitization and cataloging process. The first phase of the project has focused on Thesis projects, totaling 563 in number. Caitlin supervises a rotating group of student assistants, both architects and artists, who have spent countless hours scanning slides, drawings, and other items from the collection. To date, approximately 450 projects have been digitized and cataloged, including 6,000 unique items. This material represents about 20% of the overall collection. "This is a unique collection to work with in that it allows for a lot of community involvement. Our student assistants have the opportunity to identify and record architectural elements, thereby contributing to the cataloging effort,” Biggers says. “Alumni will also have the opportunity to contribute materials and data as we seek permission to publish their work in the coming months. This engagement means that the final product can be something born of both the Architecture Archive and the Cooper community." Members of the Cooper community have also been involved in developing the interface for the digital archive. Seth Kaufman, ChE’93, is the lead developer of CollectiveAccess, a well-established, open-source digital collections management platform being used to build the database. The Cooper Union Design Center has created a front-end, responsive design which users will be able to access on any device. A wide scope of subjects is represented in the Student Work Collection. “The work reaches far beyond architecture and design, exploring themes from theology, mathematics, political science, linguistics, and more,” Biggers says. “By providing for the study of architecture at the intersection of a broad range of disciplines, we expect that this public database will engage researchers from a variety of backgrounds and that’s something we are very excited about."